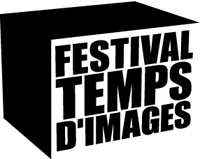 Founded in 2002 in France, Temps d’Images is a network that brings together 11 partners from Cluj to Lisbon and Montreal to Brussels in a web of considerable proportions underpinned by a common endeavor to step away from uniformity and allow each culture to find and sustain its own voice. With events launched simultaneously in Belgium, Italy and Germany in 2002, the concept was that each new event would help to spread ideas and works through the notion of “the image meeting the stage.” By 2004 the initial three participating countries had been joined by Portugal, Hungary, Estonia and Poland. Canada took its place in the European club in 2005 with Turkey and Romania joining the Temps d’Images alliance in 2008. In what will be Garajistanbul’s third consecutive hosting of the event, this year’s program -- running for three weeks until April 30 -- is primarily focused on the interaction between music and visual arts. With performances from contemporary musicians spanning a range of genres including electro, dub step, techno and experimental house music, there will also be video-art concerts and theater and dance performances as well as various interactive activities including seminars and extended studio workshops with contemporary artists.